Let me tell you a secret about Croatian people. 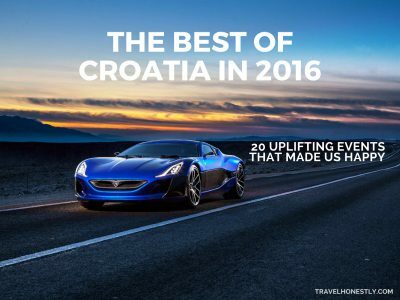 Meeting Croatian people is the country’s top attraction. It’s the most memorable, most immersive and most rewarding experience you’ll have on your travels. It’s actually the one and only thing that will turn you into a raving fan of Croatia. Why? Because visiting Croatia is double special if you meet the locals. Remember the last time a friend persuaded you to go and visit some place. Which stories hooked you in most? Was it the one about nice buildings? No, I didn’t think so. But when your friend told you about going fishing with this local guy, and how his wife then made a scrumptious fish stew… yes, your eyes lit up. You were sold. And you had every reason to be. Because we all want meaningful travel experiences. And parachuting in and out of a country like any old tourist doesn’t cut it any more. Especially not in Croatia. Sure, you can have a week of the sun and the sea galore. You can whizz through our gorgeous national parks, or drink good wine in a good restaurant. If you’re lucky enough to meet locals along the way – you’ll unlock a whole new dimension of Croatia. You see, this is the country where information, as well as emotion, lives in close-knit communities. 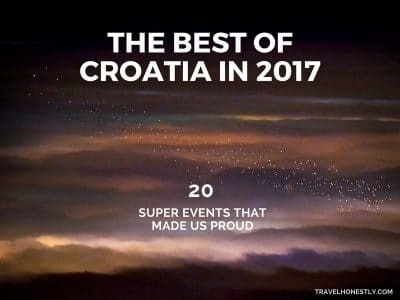 So, if you want to find out what are the best things to do in Croatia, the ones that will blow your mind and touch your heart, you need word-of-mouth intel. And the only way to get it is through making friends with Croatian people. If you want to get friendly with Croatian people, you need a different approach. The one that I’m going to teach you here. So, in a moment, I’ll show you the quick and easy way to meet your first Croatian local. But before we start, there’s one thing you need to know. Croats are far better at forming deep bonds than at casually chatting to people. Without understanding this first, you won’t be able to follow along. So let’s dig deeper into this mystery. I once asked my readers a simple question: Croats are rude – yes or no? The final result took me by surprise – it was a tie. Some people had their holiday ruined ‘because Croats didn’t smile’ and ‘customer service was sh*t’. Others claimed we were the warmest people in the world. Wow! What’s going on here? Just bear with me. We’ll solve the riddle in a moment. You see, there are three types of connections we make with people around us: acquaintances, casual friends and best friends. 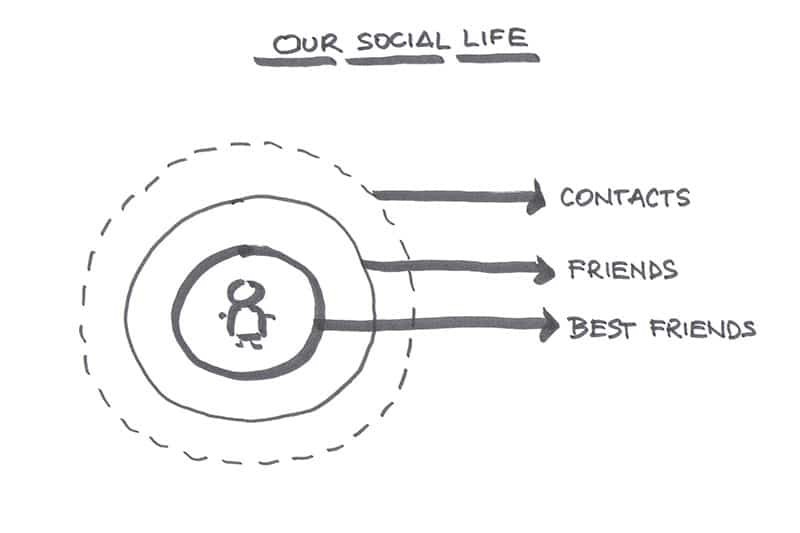 Many psychology books describe our social life through the metaphor of concentric circles. We’re at the centre, surrounded by a small number of close friends, which is embraced by a larger group of casual friends, which is immersed in a wider world of contacts. This is all good and true – up to a point. Can you guess what’s missing? Yes, the picture doesn’t show how different cultures value those circles. For example, the English word friend translates into the Croatian prijatelj with no problems. But if a friend and a prijatelj come together, without knowing what I’m about to show you, they can get their wires crossed in all kinds of ways. This happened to me when I expected a British friend to water my plants while I was away. Silly me! So, take a look at this comparison and notice the difference. 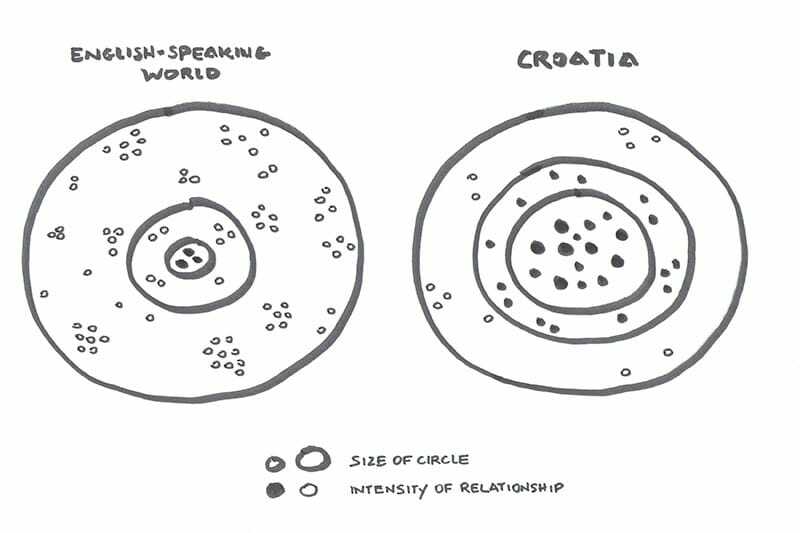 Croatian people invest most of their time and emotion into the inner circle. They make close friends early on in life and stick to their tribe. It’s warm and fuzzy inside because Croats walk an extra mile for their close friends. 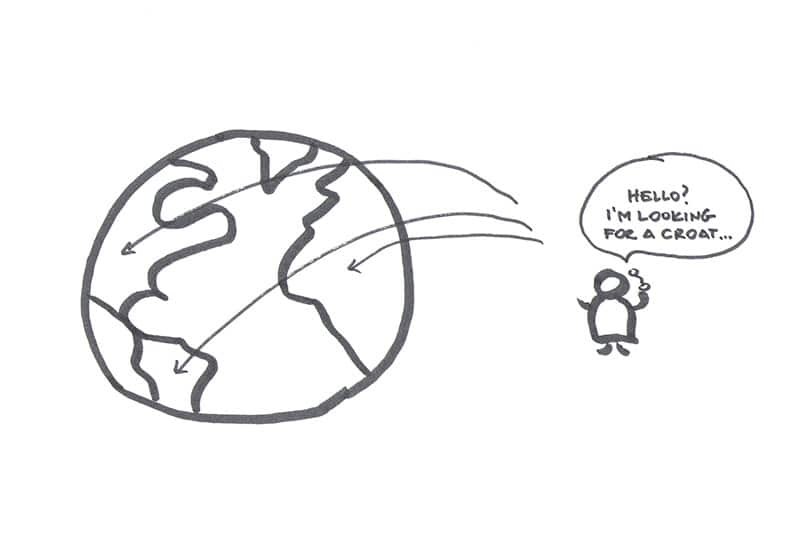 Over in the English-speaking world, a large network of contacts is the strongest social currency. When I’m in London, I always notice how much time people devote to casual acquaintances. They give everyone a chance, they obsessively exchange business cards, because you never know who can help you move up in life. Once I asked a British person how often he sees his best friend. He replied: quite often, maybe 4-5 times a year. Croatian people are rude – yes or no? Let’s get back to solving the riddle of Croatian rudeness. Croats are rude? No way. When you make friends with Croatian people, they’ll go above and beyond to help you. You’ll always be able to count on their heartfelt generosity and honesty. Croats are rude? Heck yes. 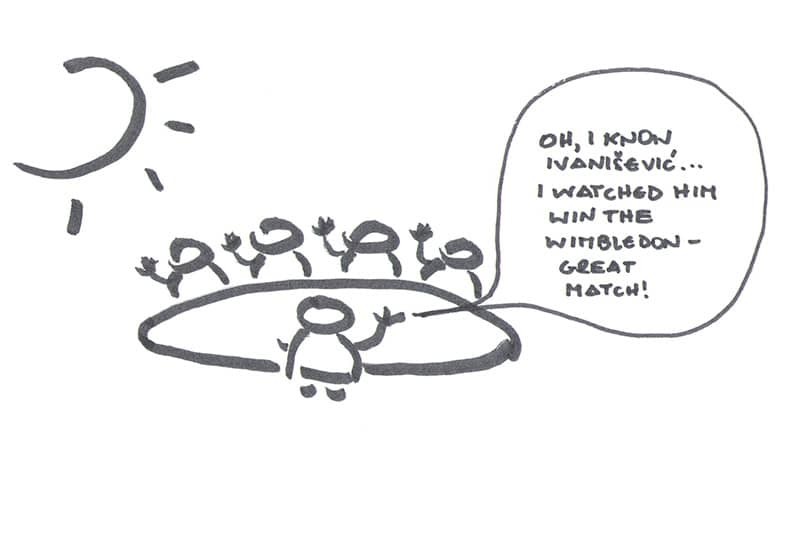 If you stay dabbling in a Croat’s outer circle, expect a lukewarm response. Heck, expect even a few stroppy replies. Especially when you’re a customer and someone is having a bad day. We don’t see a point in pleasantries. I know, I’ve taken you on a long winded journey. And you’re probably wondering: Andrea, why on earth should I care about making friends with Croats if I’m here only for a short while. 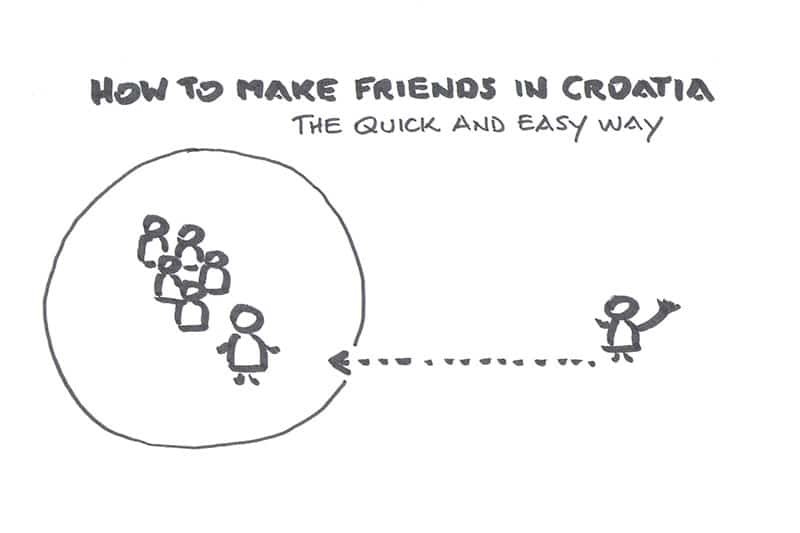 Maybe you’re not after finding a best friend in Croatia, but this is your route to having any kind of friend in Croatia. Once you break the ice, dive deeper. This is where we keep our care, devotion, pleasantries – and, of course, a smile. Now you have your what (your goal): make friends with Croatian people. And your why: so you can have the best possible time here. The next step is how. How do you break the ice when the ice is an iceberg? Simply follow my quick and easy strategy. 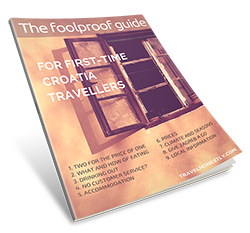 Knowing a single Croat can open more doors for you than chatting to a bunch of locals in the street. If you know someone who knows someone in Croatia – jump on the chance to get introduced. This one Croatian local will let you in because they are a friend of a friend of your friend. Log into this network and enjoy the bandwidth. There is no more need to break the ice because you’re already in. Your local’s friends are suddenly your friends. And you already know what that means. Now it’s time to tap into your wide circle of contacts. There’s bound to be one Croat among them who can hook you up with a local. Meet that local online. Chat, ask questions, seek advice. But make sure you don’t stop there. If you want to make true friends, you must meet in person. There’s no better way to solidify a bond with a Croat than to drink coffee together. Find someone who’s already been to Croatia. Maybe they made friends during their visit? Ask for that introduction and get online. ACTION POINT: Join my Facebook group Croatia Insider and meet genuine Croatia fans there. It’s a community where we share tips and tricks about the the Croatian way of life, so whatever question you have – we have an answer. Travel bloggers often rave about social apps for making friends with the locals. In many places this approach works like a charm. In Croatia – it doesn’t! You see, a tool invented in the USA doesn’t work in the same way around the globe. Travel is all about discovering different places. But what gives a place its appeal if not the local people? OK, so what can you do if you haven’t lined up your one Croat before you arrive? Get talking to Croatian people in real-life situations. This is the only way small talking will lead to a meaningful connection. Now, you’re facing three challenges. One, Croats chit-chat in a different way to the English-speaking people. If you don’t know the rules, the locals may seem aloof to you. Two, the best situations for breaking the ice are not what you think. And third, Croatian people who hang out together are almost always close friends. They are so immersed in their inner circle, you’ll have a difficult time getting your foot in. 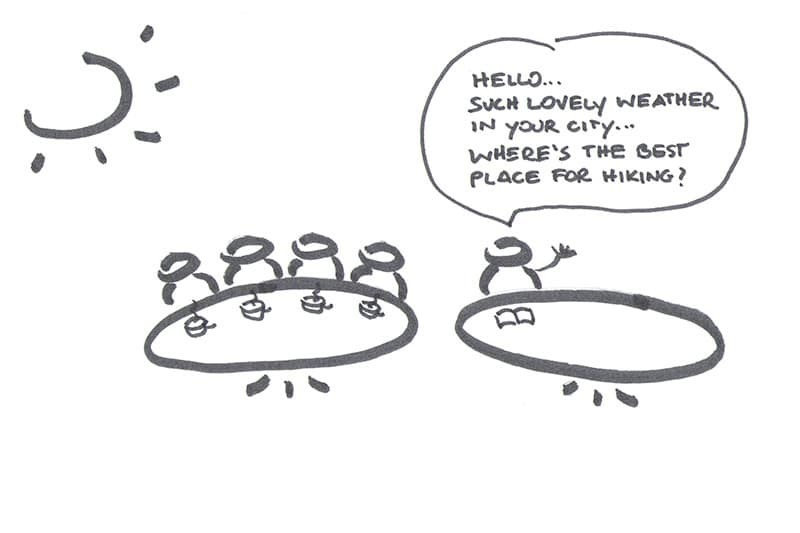 Try to engage a local in the so called ‘over the table’ conversation. You’ll still be up against a group of good friends because Croatian people never drink coffee on their own. But if you sit near their table and casually drop a line or two, you’ll get their attention. Better yet, ask a question or two about their city. Croatian people love helping others. At that point, gently turn your chair towards their table and you’re on your way to chatting. Once a Croat is seated, they won’t budge from their friends. Go to open-air festivals where people are moving around. Or where there is queuing to get a drink. Park yourself at a bar near the toilette. (Everyone needs to go at some point during the night, right?). Wait for one Croat to leave the company of their mates. When they walk past you on their way back, strike a conversation. Use similar topics: local beer suggestions, music… etc. Pick a cafe, a bakery, a shop – and visit every day. As a tourist, you’ll be tempted to see as many different places as possible. Resist that. Visit your haunt every day until people there begin to recognize your face. Then start talking to them. Imagine, if you’re exploring something with only 3-4 other travelers, the local guide will be more approachable. Ask them questions beyond the tour topic. Be inquisitive. There is a big chance such a guide will take you up on an offer to have drinks afterwards. ACTION POINT: Avoid socializing only with other foreigners in Croatia. If you start like this, it will be difficult to branch out to Croatian people. Many expats in Croatia also struggle with making friends with the locals. Once you’ve broken the ice, then comes the tricky part. Croatian small talk! You can read my complete (and funny!) case study here. An English-speaking person can quickly conclude that Croatian people don’t know how to small talk. Actually we do, but we use small talk to bond with friends we already have. You see the problem? We always come back to that inner circle. Talk about your best impressions of the country so far. Compliment the food, the climate, the gorgeous countryside, the wonderful Adriatic Sea. Hint – Croatian people believe theirs is the most beautiful sea in the world. Let’s say you landed in Croatia after having traveled in Italy. Now you want to express your admiration for olive oil or prosciutto because you know this is also the staple food in Croatia. You are, of course, being enthusiastic. But a Croat could turn into a prickly pear. You are making comparisons whereas everyone on the planet knows that the Croatian olive oil is the best. Ouch! You don’t need to know a lot. Croatian people are used to not being in the center of the world’s attention. So even a small detail will do. Dig out something. Do you know a Croatian sports person? Have you heard of Nikola Tesla? Did you know that Marco Polo was born in Croatia? This is gold. You are well read on the history of the region. Croatian people will be keen to explain a complex situation and this may take hours. Maybe you won’t be interested in so many details. Maybe getting in the middle of a heated discussion will be too much. There is no simple when it comes to Croatian politics. A good talk with Croatian people still doesn’t mean you’re in. Take further initiative and suggest the next meeting. Don’t just hand them your business card or say ‘we must do this again’. Be concrete and set the day for your next coffee. 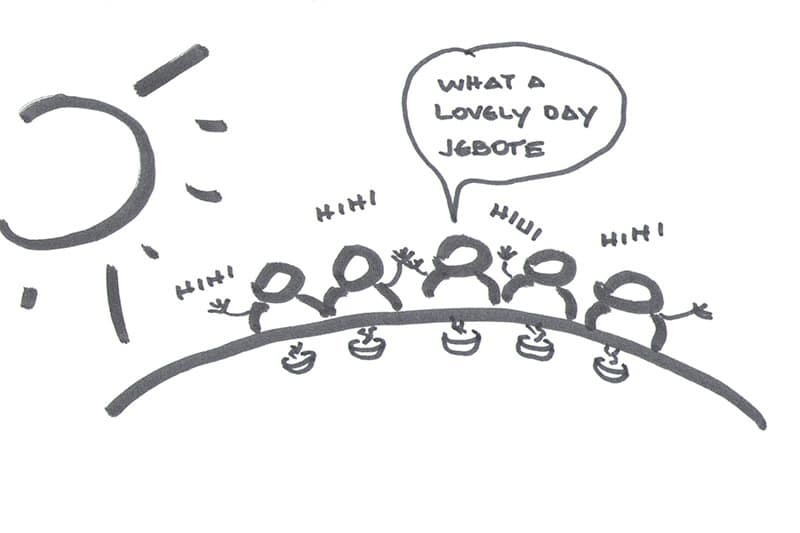 ACTION POINT: if you’re staying longer in Croatia, make an effort to meet friends of your new friends. Get to know the whole inner circle quickly. Every person has a daily ritual. Something unique or quirky. 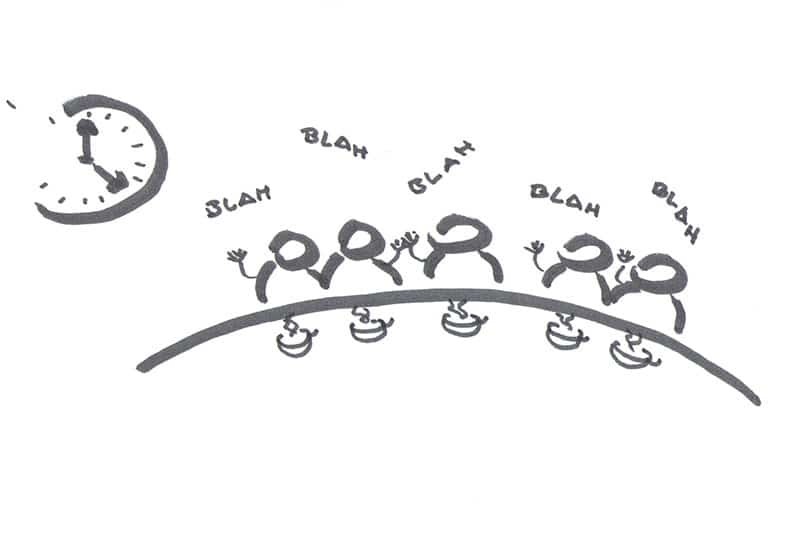 Cultures too live by collective daily rhythms. The sooner you learn a few that define Croatian people, the easier it gets to fit in. Let’s say you want to invite a local for drinks in the evening. You might say ‘let’s meet in this or that bar’… because back at your home people drink in bars. 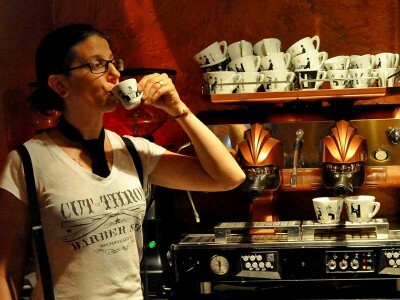 Croatian people drink coffee, and beer, and wine – in a cafe. If you want to share food with your new Croatian friend, you might be off with your timing. Instead of inviting them out for dinner, suggest to grab lunch together. Or just say ‘let’s meet for a bite to eat’ and wait for them to name the time and the place. In London I usually meet with friends to do stuff together. There, it’s normal, and it’s a way to bond. Croatian people bond over food, drinks and lots of talking. On the surface, it seems we’re not doing anything. Unless you’re good friends with a Croat, don’t go suggesting ‘a lovely walk in the countryside’ for the sake of bonding. Embrace the 5 hour session of just being together. 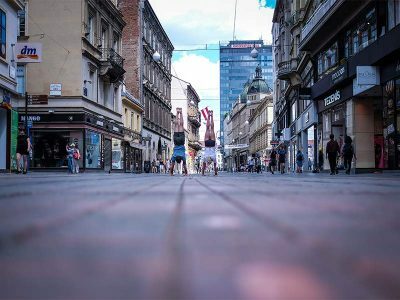 Ever wondered why Croatian cities seem deserted on a Sunday afternoon? Or why you can’t find a restaurant that’s open? Everyone is eating lunch with their family. This is a special time devoted to the most inner of circles. Leave it as it is. When Croatian people invite you for coffee at, what to you seems, a very short notice – jump in. This is the secret of our close friendships. We make ourselves available to the inner circle. If you really can’t make that one coffee, be sure not to decline too many of such invitations. ACTION POINT: When you’re suggesting to hang out together, don’t specify what and where. Let Croatian people do it. You might think that all this strategy is necessary because Croatian people don’t like foreigners. But nothing could be further from the truth. We love foreigners, just not so much the tourists. When you single yourself out from that group, we’ll adore you like we do our friends. And the single best way to do it is by speaking a bit of Croatian. We all know how difficult our language is. We don’t expect much. Just a few sentences. Your pronunciation can be wrong, your declinations and conjugations can be non-existent, you can cross the line by addressing us informally too soon… Just start babbling the lingo! Do it with a cashier, a waiter or a random local and see the magic happen. You instantly change your status from being a customer to becoming a friend. Inner circle, remember? One of my readers told me he once made a mistake with the correct type of hvala [thank you] – and we have so many! The result? He made a lifelong friend out of this Croatian person. So go out and make mistakes with your Croatian. Even if you only have one sentence to show off with. You can then switch to English and say ne razumijem [I don’t understand]. This counts too. Wait… one more ACTION POINT: download my FREE guide down below. 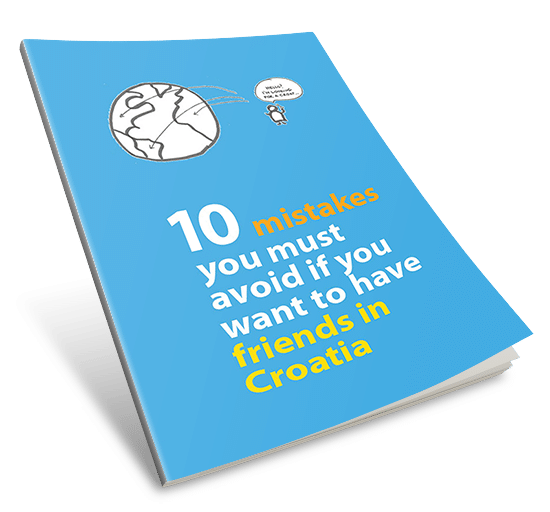 It will help you avoid most common mistakes foreigners do with Croatian people! ––>> Croatian dating quiz: do you know how to date a Croat? Thank you, Mariana! I believe the similarities come from both our cultures being closely related to the Mediterranean way of life 🙂 Geography is powerful! OMG, this has been the most incredible review about the insights of a foreign culture. The points made could fit so well into not only Croats but also with other Europeans. Americans have so many casual (meaningless) acquaintances compared to European’s value of true faithful, meaningful friendships. It’s a cultural thing of closeness with Europeans, while Americans are always moving, looking for the next great advancement or achievement. Thanks James 🙂 I’m glad you liked the article and find it useful in more than just the Croatian context! Very interesting! I was thinking of going to Croatia this summer and I was looking exactly for something like this… just one question (it will probably sound bad): I’ve heard some Croats don’t like Italians because of our past history… is it just a myth? Or should I expect that when I’m there? I want to contact Mr. Anto Lucevelic who I worked with, in South Africa and I would also like to meet-up with Captain Antisic (Captain of the Marco Polo cruise ship), when I will be in Croatia from 03 October to 17 October 2018. Extremely useful information! Thank you! I plan to visit Croatia in October 18 and I am eternally grateful to have found the most common sense advice from your Zagreb honestly I will certainly now. Be more able to enjoy my time Thanks to your help. I lived in Croatia for two years and in that time I tried many ways to befriend locals but most of the people I met tried in some way to take advantage of me, either through goodwill or money. Being female and from Canada, I lost count how many times I was disrespected by having an opinion. I learned quickly that I am a foreigner here and that my opinion does not matter, I would hear “sta ti znas” (what do you know) or “Meh “Amerikanci” (Americans). I am from Canada! Not that it mattered. I agree that everyone does complain and I found it funny at first but after a while it wears on you and brings you down. People do not smile on the street and I do agree that people do not like friendly chit chat, which for me makes my day better & does not cost anything. I grew to hate the country. Despite its natural beauty there is not much else I can say for it. The mentality of people is about 75-100 years behind the rest of Europe. I would never visit again. IMO – Croats are rude, closed minded people that don’t smile & are not very welcoming. Lara, I totally understand your point of view and am truly sorry you had such an experience in Croatia. Lara Im a Croat, living in Zagreb and I share your views. But there is much more. Article is okay but dont cover all. Croats are first of all xenophobic. Trust me on this. Croats from one part od Croatia dont like Croats from other places of Croatia. Especially Croats from Bosnia and Herzegovinia. There is even one NGO which tries to unite Croats from Bosnia. Anyway Croats mostly dont like black people and muslims. Croats dont like Serbs and vice versa. But now for common Croat most dangerous problem is Herzegovinians. You know Croats have words for aliens…dotpenac furesht etc. What is more important Croats are mostly uneducated. Education system is bad. Health system is broken. Nepotism. Corruption is everywhere. Thats why many Croats left Croatia. Even if you have well paid job you are not sure if you need gov. health or if you go to court. Country is in spiritual ruins. Its a mess. To be true I believe that Croatia is failed experiment. Now since Croats oppose Balkan union I believe that in far far future Croatia will be devided between Italy and Hungary maybe Serbia. I belive its good for us. Maybe its wishfull thinking or mazochism…but there is one saying in Croatia – Croats were always bad rulers but good slaves. Its in our gene. We are sub dnk. Give us rule and in 20 years we will infested it with corruption. And more thing Croats are above all jealous. Jealousy and xenophobia. Any success in Croatia will not be tolarated. There is more but long story short thats it. Hello! I am an American but My last name is Croatian. I would like to find a Croatian pen pal with the same unique last name. I wish to travel to Croatia one day and it would be very nice to have a “friend” there when I go. If anyone reading this has a suggestion to finding someone to write to then please let me know. Thanking you! Howdy from Texas! My father was from Croatia and I have several first cousins living on the Dalmatian coast. I visited when I was a child to meet my Nana and Dida. I returned with my father and mother and my children to share our heritage with them. My father has passed away but I would love to visit Croatia with my grandchildren. What should I do to prepare for a successful visit? I want to visit family in Dubrovnik and Zadar but I don’t want to miss the special places of the Dalmatian Coast. I love all the information you have shared on Zagreb Honestly!